I love Big Lots and I cannot lie. It’s kind of like Costco. When we started shopping at that giant warehouse store Petey and I had a terrible time making it out without spending the equivalent of the GDP. I’d walk those aisles grabbing products right and left. But through Herculean effort, and ruthless organization, we shop with a list and rarely deviate from it. Now we can sometimes get out to the parking lot for less than $50. 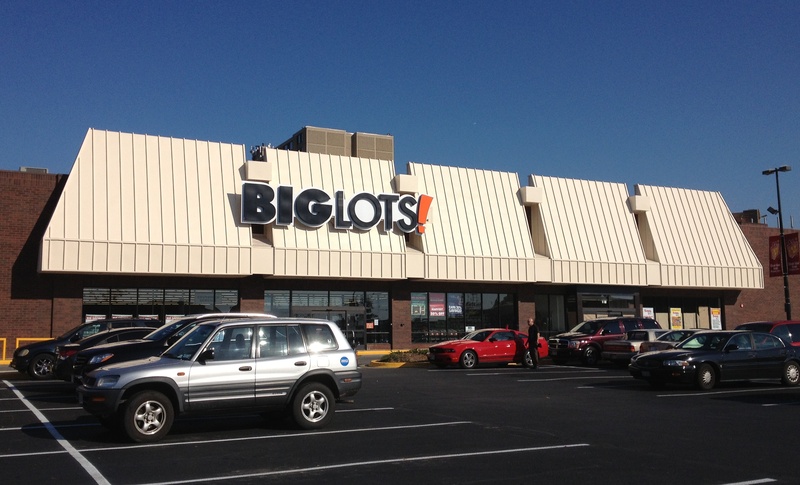 At Big Lots (2000 Avondale Drive, Durham Plaza Shopping Center), the same thing happens. But the quantities are much smaller, and the prices are pretty low. That means I can go a little nuts there, and not get into fiscal trouble. Usually they have an endcap chock-full of Bob’s Red Mill products. Bob’s is a mill out of Oregon. They have all kinds of organic and non-organic grains and flours. I’m a big fan of their steel-cut oats and a brown/wild rice blend they make. They do small batches using traditional milling techniques. Bob’s the man; on his 81st birthday he gifted his entire company over to the employees. Last time we were in Big Lots I found a Bob item I’d not seen before—Khorasan kamut; an ancient Egyptian wheat berry. Cultivated in 6000 BC, it was only recently rediscovered. Because the origins are so murky and mysterious, it is known as both the “Prophet’s Grain”, because legend says it was on Noah’s Ark, and “King Tut’s wheat” because it was supposedly found in his tomb. It is eaten both as a hot cereal, and a savory grain. I decided to go savory the first time out. I’m always on the lookout for new carbs for meals. And besides, I never met a hot cereal I didn’t love. So I decided to bake it in a cheesy mushroom sauce, then serve it along with asparagus and a pork tenderloin. Kamut is chewy and nutty with a deep, rich flavor; reminiscent of farro. Kamut berries needs to be soaked overnight (if not, cooking time doubles). Put grains in a large bowl with the bay leaf. Fill with warm water, and let it sit overnight. You can cook it and assemble the dish hours before eating. Just refrigerate and bake off right before service. To cook: Boil 3 cups water on medium-high, and add a pinch of salt. Add kamut to water lower to medium-low, and cover. Cook 30-40 minutes or until plumped and tender. Drain excess liquid. Makes 3 cups. Preheat oven to 350 degrees. Grease casserole dish, set aside. Melt butter in heavy pot. Sautee mushrooms and shallots until lightly browned. Stir in flour, mustard and thyme. Cook 2-3 minutes on medium-low. Turn up to medium, whisk in milk and cook until it just begins to bubble. Slowly add 3/4 cup cheese, letting each addition melt before adding more. Season. Stir kamut into sauce, and pour into casserole dish. Sprinkle with the rest of the cheese right before putting into the oven. Bake for 35-45 minutes or until top is lightly browned and crisped. Next time I’ll make it as hot cereal. I’ll add some dried fruit and nuts, and drizzle on some maple syrup. It would make a nice salad too, I think, with some fresh spring veg, and a lemony dressing.I love Costco, but I fear its power over me, as well. I love Costco, but I fear its power over me, as well. If they ever start carrying Bob’s Red Mill I am in so much trouble.